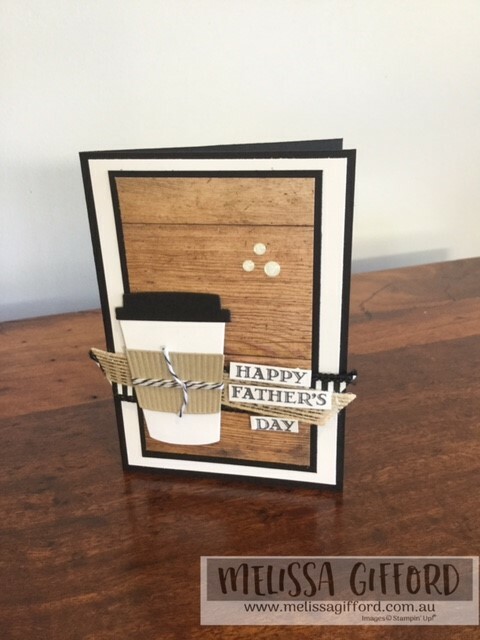 Melissa Gifford - Independent Stampin' Up!® Demonstrator: Happy Father's Day Dad! Happy Father's Day to all the fab Dads out there! My Dad loves coffee so I wanted to create something with the Coffee Cafe bundle. But now it seems I cant put the set down - I've been having way too much fun! We are using this bundle in class this week so I'll wait to show you some more creations then. This set is so much more than coffee though - think milkshakes, iced drinks and even little ice cream cups. 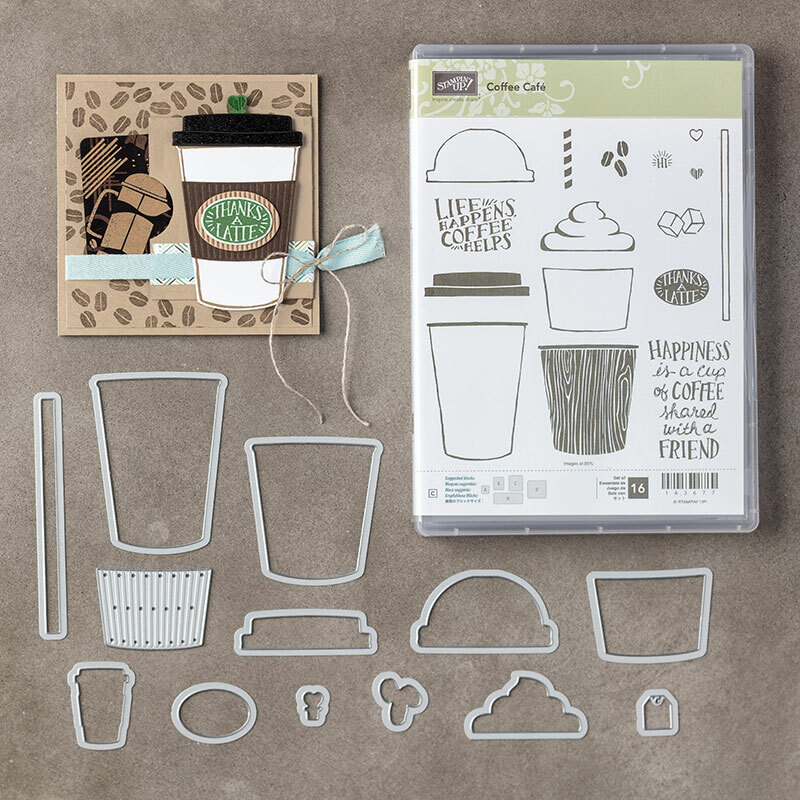 The tiny coffee cups framelit matches some of the images on the designer series paper. I wanted to make something a bit more masculine so I CASED this card from a fellow demonstrator but I cannot find her original creation to link to. Please let me know if you know who it is, I would love to give her credit. Using the wood textures designer series papers (DSP) makes this quite striking I think! I wanted to use the Happy Father's Day sentiment from the Guy Greeting set but it was too long so after I stamped it I chopped it up into smaller pieces and attached it a bit more haphazardly. It's a good trick to remember when looking for the perfect sentiment that's the right size/shape or you only want part of the sentiment. This bundle has a coordinating stamp set in the new Holiday Catalogue called Merry Cafe (page 46) which will make some awesome Christmas cards for the coffee lovers amongst us. 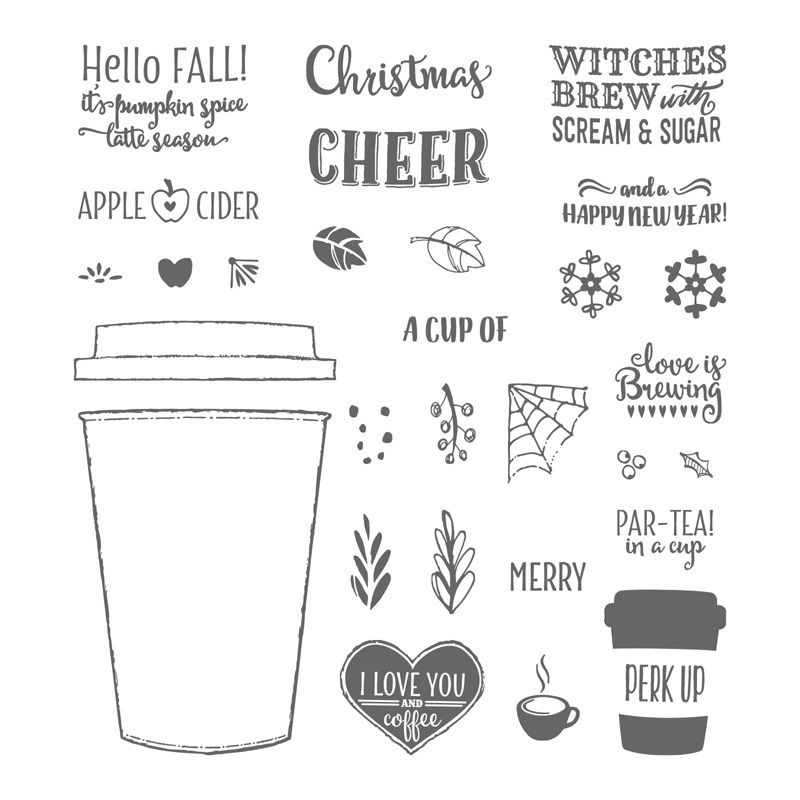 And there are a few tea images and other sentiments too for those who prefer tea, cider, chocolate etc. Click on any of the images below to go straight to my shop or use the Shop Now button at the top of my blog. Remember to use this month's hostess code FPXB36BX to earn yourself a little gift from me in October.